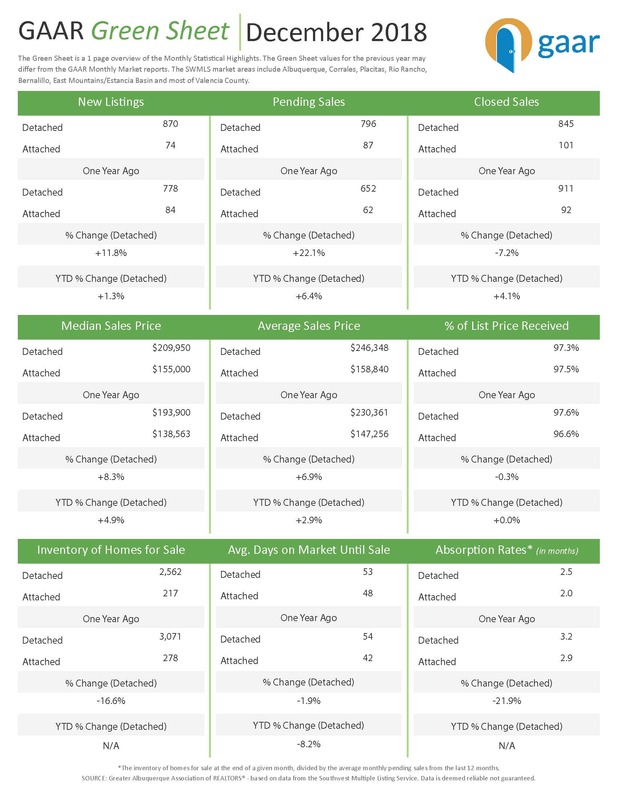 December Market Update - Track your local market states at www.AbqMarketinfo.com Home prices were consistently up again in most markets in 2018 but at reduced levels compared to recent years. High demand for few homes for sale fueled price increases, but evidence is mounting that inventory will finally improve in 2019. A fourth interest rate hike by the Federal Reserve in 2018 spooked the stock market to close out the year. The Fed has indicated that the number of rate increases in 2019 will be halved, which may be of little comfort to an already compressed consumer.